Hide deals from seller "ArtReach Educational Theatre"
Hide deals from category "Dance Lessons"
Limit 1 per person; 1 additional may be purchased as a gift. By appointment only. Not valid with any other offers. First-time enrollment only. Does not include a nominal costume fee. Promotional value expires 365 days after purchase. For all children and young adults, finding a healthy outlet to express themselves is an essential part of growing up, and ArtReach Educational Theatre in Palatine wants your children to express themselves centerstage. 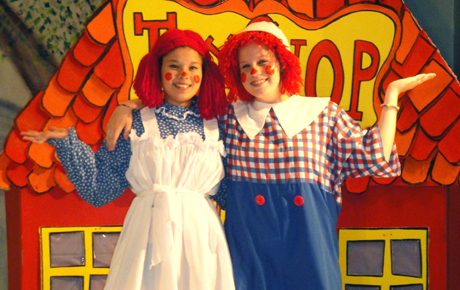 50% off Fall Musical Theatre Workshop ($350 Value). 50% off a Combo Rate for the Fall Musical Theatre Workshop plus Acting classes, Tap classes or Jazz/Hip-Hop classes ($450 Value). ArtReach Educational Theatre's focus is helping children find their voice, both as performers and as individuals. The wide range of classes and programs, taught by pressional instructors, provide adolescents with memory skills, foster proper learning techniques, build self-esteem and encourage the importance of working with a team.